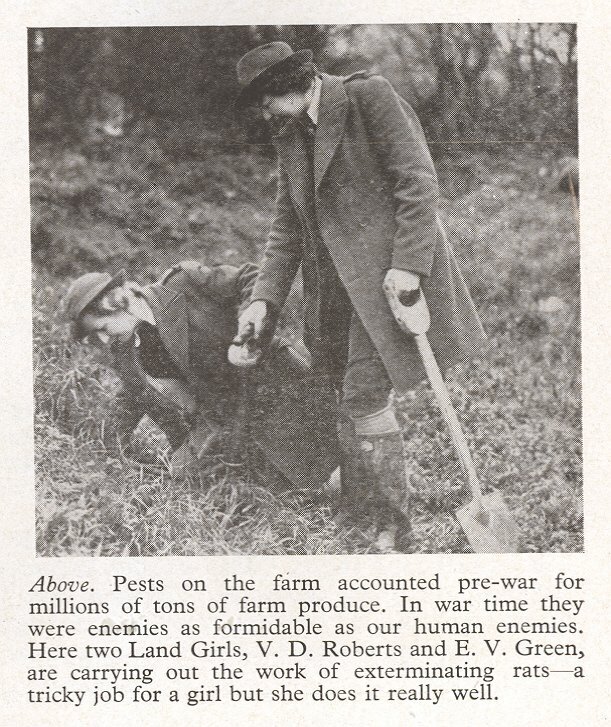 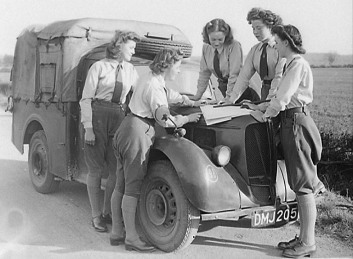 English ‘land girls’ of the Women’s Land Army in Bedfordshire planning a campaign to combat the infestation of crops by Colorado beetles in 1948. 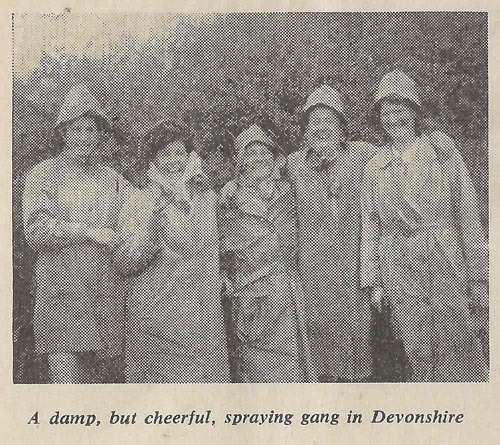 Source: Stuart Antrobus. 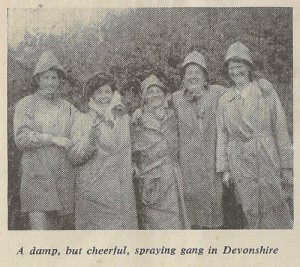 Courtesy of Bedfordshire Times, England. 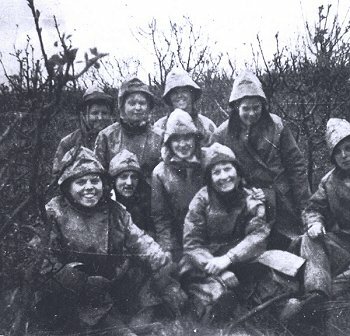 Spraying gang of land girls in the apple orchard at Cockayne-Hatley during the Second World War.